THANK YOU to ALL VETERANS EVERYWHERE! Home > Business > THANK YOU to ALL VETERANS EVERYWHERE! In the new book, Eat Like Eve, Cherry Capri, America’s Queen of Modernism, Manners and Mirth, takes the format of a vintage 1950s retro recipe book and updates the contents for today’s health-conscious and ingredient-savvy consumers. 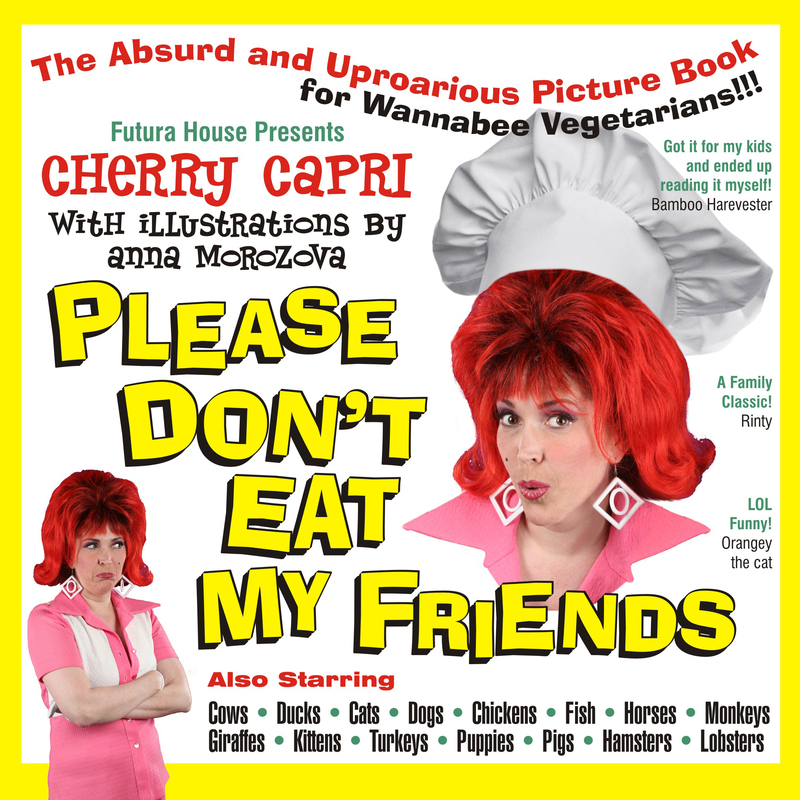 She shares her view that Eve in the Garden of Eden must have looked pretty darn good, because Eve was eating a raw plant-based cuisine, composed of uncooked organic fresh fruits, nuts, seeds, greens and vegetables and in honor of the 11-11 Veteran’s Day book release, the Author, Cherry Capri, is offering a complimentary PDF version of the book to all Vets. This quirky funny raw food diet un-cookbook contains 88 quick delicious recipes based on living food principles and lifestyle. The recipes are vegan, lactose-free, dairy-free, gluten-free, and made from family friendly, natural ingredients. Cherry explains basics, equipment, ingredients, and even a bit of personal philosophy behind plant-based culinary choice. The book makes a perfect gift for someone you love who’s curious about eating healthier, but does not want to be hit over the head with a lecture… The text takes a non-judgmental, light-hearted approach and will appeal to anyone who is health-curious, or interested in inner beauty, longevity or weight loss. Cherry’s un-processed un-refined snacks are tasty enough to satisfy even hard-core omnivores. They are accompanied with clear list of ingredients, short fast instructions and color photographs for every dish – with time-saving tips and techniques. Lastly, in quintessential Cherry retro style, this cookbook is filled with fabulous fun fifties illustrations! And the Audible audio book is loaded with Esquivel-inspired sound surprises. The author, Cherry Capri, requested to launch her book on 11-11, Veterans’ Day, and offer a complimentary PDF of the book to any Veteran who signs up for her special email list from that day forward. Addressing the plight of Veterans’ home conditions and health is a topic that is near and dear to the author’s heart. She wanted to share her wealth of knowledge with those that have served. In addition, Miss Cherry Capri pledged to give a donation to the Wounded Warrior Project for each and every single Veteran who signs up for her PDF book at this website.